Residential, or boarding, schools serve different populations and have different goals. Schools that address behavioral issues in children admit students with a variety of diagnoses. Those diagnoses include a number of psychological and emotional issues that range from anxiety, mood and eating disorders, attention deficit hyperactive disorder (ADHD) and oppositional defiant disorder (ODD) to fire setting, post-traumatic stress disorder (PTSD) and other behavioral problems. In recent years, more children have presented with a diagnosis on the autism spectrum. According to Valentina M. Parchin, Ph.D, director of education for the Adelbrook Learning Center in East Hartford, Connecticut, this agency has moved away from “…serving kids with social and emotional disturbances to those on the autism spectrum due to the high prevalence rate.” She indicated that as more children are diagnosed, the more services are needed. In the past, children presented with clinical diagnoses, such as depression, PTSD, learning disabilities, which impact skill development and academic acquisition, Parchin said. Moreover, therapeutic approaches have changed to address the needs of a child with autism. Parchin explained that schools now use behavioral interventions such as Applied Behavior Analysis (ABA), a technique that teaches the child specific academic, emotional, and social coping skills. Students receive points or positive feedback when they demonstrate positive behavior. Board-certified behaviorists at Adelbrook develop individualized intervention plans by determining what will best motivate the student to work harder and achieve success, according to Parchin. Students attend Adelbrook year-round, including an extended seven-week summer program. In Connecticut, a planning and placement team develops goals and objectives to guide the student during his or her residential stay. “The same group determines when the student is ready to participate in the public school educational system,” said Parchin. Robyn Ostrander, M.D., medical director, division of child and adolescent psychiatry, Maine Behavioral Health Care, spent 11 years in Vermont before coming to Maine in 2016. She indicated that finding residential treatment in Maine is very difficult compared to Vermont. In addition to geographic challenges, the state struggles to attract and maintain qualified front line staff, particularly those who can effectively manage the behaviors of children on the autism spectrum. Based on her clinical experience, Ostrander reported that approximately one-third of children in non-specific residential treatment are on the developmental disorder spectrum. The other two-thirds have behavioral issues, such as conduct or mood disorders, or ODD. “But the common denominator is multiple disenfranchisement,” she noted. Children live in poverty, are in state custody, have no natural or family supports and have exhausted all placement options. Ostrander indicated that such situations can lead to PTSD or a diagnosis of psychosis or bipolar disorder. Independent boarding schools, residential schools that emphasize a college preparatory curriculum, do not focus on behavioral health issues, but rather emphasize an intense academic curriculum. However, their students may face a tremendous amount of pressure, often self-imposed but also sometimes coming from external sources such as family or societal expectations, that sometimes translates into depression, anxiety, substance use, eating disorders and more serious behaviors, such as self-harming or suicidality, according to Jamelle Greene, Ph.D.
Greene has worked as director of counseling at one such school in Massachusetts. Greene points out though that the behavioral issues these students face are the same and occur at the same rate as they do for students across the population who don’t attend boarding schools. Students at these schools are juggling high expectations as well as extracurricular activities. “These kids are working at a high level to maintain lots of interests,” said Greene. Perfectionism often permeates the environment, she added. Moreover, many international students attend these boarding schools. Greene said that she had to undergo a personal learning curve with this population to figure out that their somatic complaints were communicating mental health issues. She found that symptoms such as headaches and fainting could reflect depression and anxiety. The size of counseling centers at these residential schools depends on the size of the school as a whole. Psychologists at these schools typically address mild behavioral issues, but will refer students to an outside therapist for more in-depth treatment, Greene noted. 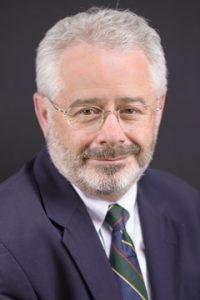 David Gleason, Psy.D, completed a dissertation in 1993 entitled Learned Helplessness and the Adjustment to Boarding School that detailed his longitudinal study conducted with 105 new students at three different boarding schools. Today, Gleason serves as a consultant to a boarding school in Concord, Massachusetts. As administrative director of student support services at St. Paul’s School during the mid-1990s, Gleason observed that students frequently complained of anxiety and depression. In subsequent years and at other independent schools, Gleason noticed that high pressure to compete and succeed led many students to substance abuse, eating disorders and cutting/self-injury. “Alarmingly, the trend has recently shifted to increased suicidal ideation and behavior,” he said. Gleason now emphasizes that while boarding schools are responsible for maintaining the psychological safety of their students, they are not meant to be mental health clinics. Instead, schools should provide short-term, crisis-oriented counseling services so that students can get back on track and resume their academic functioning – the reason they enrolled in their schools in the first place. If, however, students need more extensive or longer-term psychotherapy, then schools should provide access to local independent mental health providers, and, if necessary, send students home on a “health leave” to focus on getting the care they need so they can – presumably – return to their school in a healthier state.